Leslie Farber shared her super cute cake toppers! So unique and stylish! Leslie's items are handcrafted works for weddings, showers, birthdays and other special occasions. She carefully crafts each cake topper/box using mostly antique and vintage materials. 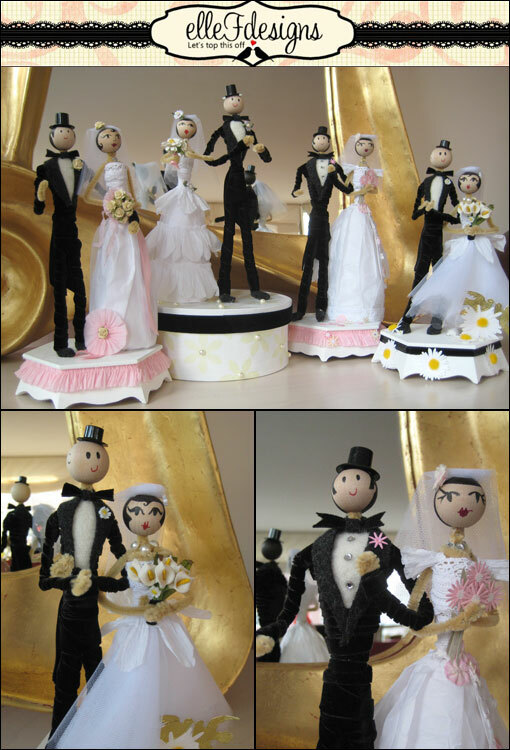 Cake toppers sell for $100 to $125. What an adorable way to top your cake! You can see more of Leslie's designs here: Elle F Designs. If anyone has purchased one, we would love to see photos from your wedding!